I am behind the times. 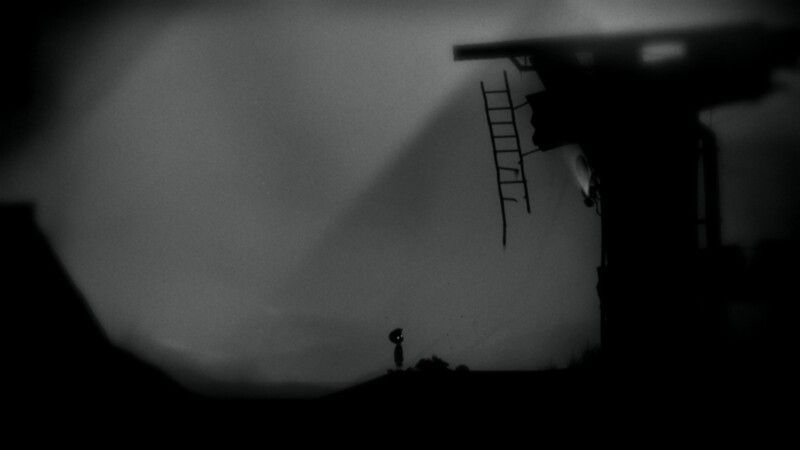 I got Limbo as part of the Humble Bundle V, and I took this morning to play through it. My opinion? It is a mediocre puzzle game with a heavy dose of Tim Burton-esque aesthetics. I understand that there is a lot of praise for the game, but most of what I have read is summed up quite readily when you look at this article. 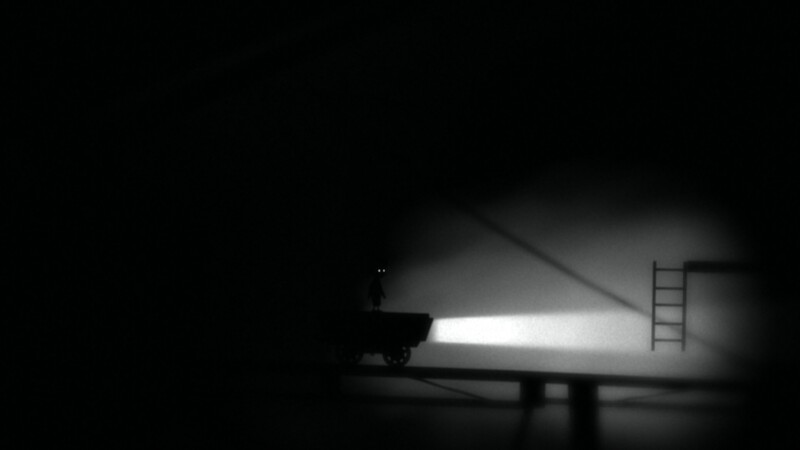 Limbo is a hole without meaning that people fill with their own pseudo-intellectualism, which is something that, 99% of the time, I enjoy doing. Not this time. I think the writing of the game is lazy and the whole thing felt like two semesters worth of game design coursework. That said, I enjoyed the act of playing the game, and when the puzzles were clicking and not punishing me for lacking absolute perfect timing. But neither the design of the game, nor the aesthetic, got me. Instead, I was pulled in by death. As you may well know, failing a puzzle generally ends in death. 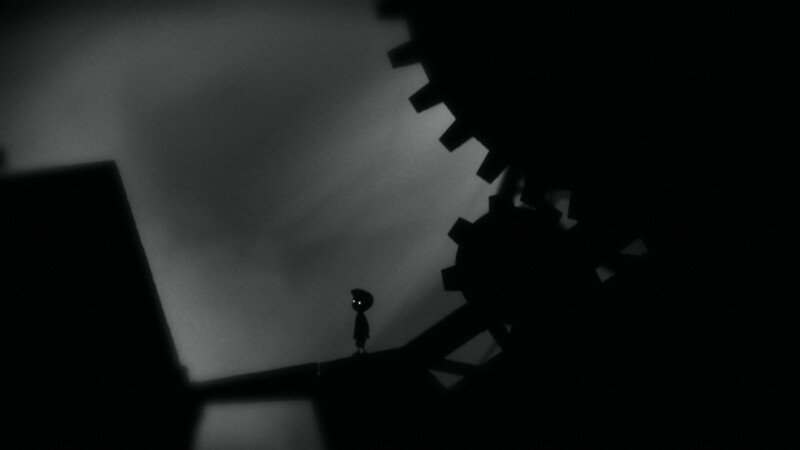 The player takes on the role of the Boy, a nameless child who is making his way through a dark, surreal world in search of his sister. Well, that is what I have heard–having played the game, I can’t tell you that was what it was about with any certainty. In any case, when you fail the puzzles, the Boy dies. Below I have five moments when the Boy died. I don’t have screenshots of the deaths. Most of it happened in my head–but I remember how they felt. 1. The Boy moves silently between trees. A slight wind moves through the trees, barely strong enough to rustle the grass that covers the forest floor. There is the slightest movement ahead. There is something in the trees. There is nothing in the trees. The Boy stops. The Boy takes two steps. It isn’t safe, but he doesn’t understand the consequences. There is quick movement. The Boy, impaled on long limbs, thinks of spindles and thread as his eyes go dark. 2. The Boy comes upon a hole. He can’t see the bottom, can’t see more than a couple feet actually, but he knows he can jump it. He knows that he can run and make a small hop and that will be the last time he sees this hole. More holes will be in his future, sure, but this one will be in the past with the dark and blurry creatures and species he has left far behind. He runs and makes his hop, but something goes wrong; a falter in his step or a lack of confidence make him hold back. The edge of the pit slips past his fingers. He falls far into the dark. He blinks out looking up. There are no stars in the sky. 3. There isn’t enough light. There won’t ever be enough light again, the Boy thinks. He rides on the minecart, the cone of white flashing out ahead of him. He hears saw blades in the distance. He hears a deep thrum that could be the heartbeat of the world. He hears gears and electric crackling and boxes falling and yelling, he hears yelling, and water rushing and flies buzzing around bodies turned flesh then sludge. Something is coming in the dark, and he jumps, his feet no longer on the cart but on hard groud. He runs, trying to catch up, and he jumps into the darkness, hoping he will land with sure feet. The curvature of the blade comes up to meet him. Ground up, turned to chains of gristle and faded light. 4. The sign says something, but the Boy can’t read it because he stands beside it, not against it, so it changes into something different from a sign. It lights up, electrified by unseen hands, and he leaps through the air from point to point. He will be frustrated to die, of course, but this one is a better death. No sliding down spikes or having trees ground through his belly or being crushed by pneumatic slabs that press on, over and over again, without knowledge of his young body smashed in their grip. The electricity makes him jittery and fall and go dark in an instant. Just a little tingle. He jumps. 5. The world falls apart over and over again. The Boy smashes into the world with his body. A part of him thinks that all the dead bodies, the drowned corpses, the carrion-food for animals and maggots, all of that might be him. Would he remember all of them? It has happened so many times already. If I could go back, but he doesn’t finish the thought. No point in trying to go back. Did it matter if he took the boat across the ocean? Is there any way of getting back? Gravity changes again and again, and by the time he crashes through glass and lands in a field of black and white, he has mostly forgotten about the stillness of the water and the breeze that shook sail and grass. This entry was posted in Video Games and tagged death, fiction, limbo, story, video games. Bookmark the permalink. i was recently at a talk where someone (I forget who!) 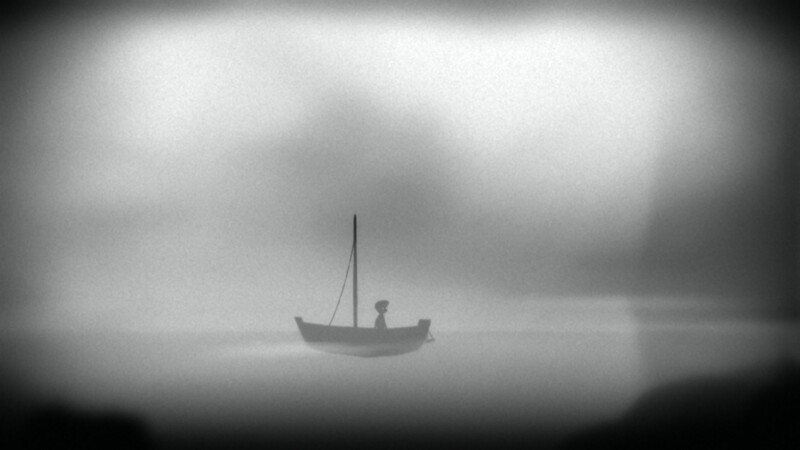 started up Limbo and just had us listen to the deaths, because each one has its own specific sound. He also brought up sound as it relates to puzzles appearing and being solved from the screen, and the way the sound shifted as environments changed. It was actually really engrossing to stop and just listen to the game.